The following guest blog is from KFW Board member Jacquelyn Carruthers—a nurse and artist living in Paducah, KY. Below she shares her story of a mural project in her community. Like many downtown areas from yesteryear which have vacant buildings due to urban expansion from construction of malls, Paducah has one building that caught the eye of local artists to renovate. The old Kresge dime store…which needed some attention. 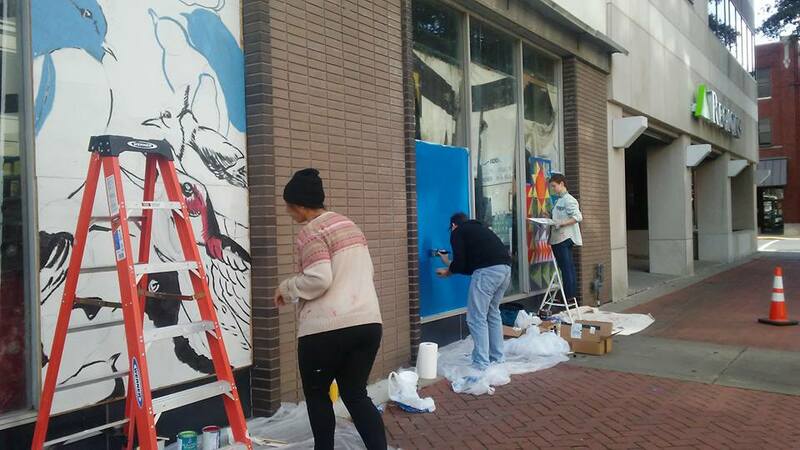 So the local Arts promotion director, Melissa Winchester asked for the assistance Paducah Art School students and me to help out with the “Murals” to enhance the downtown area. I had been wanting this project to happen for quite awhile and the suggestion to start with the go ahead…”The Mural project” began. I knew that it would be a positive undertaking because I had traveled to western states for example, Oregon, California, Arizona and Denver. Then to the deep south in Atlanta to the Artist Districts of 5 Points which specialized in Graffiti Arts Wall Painting. 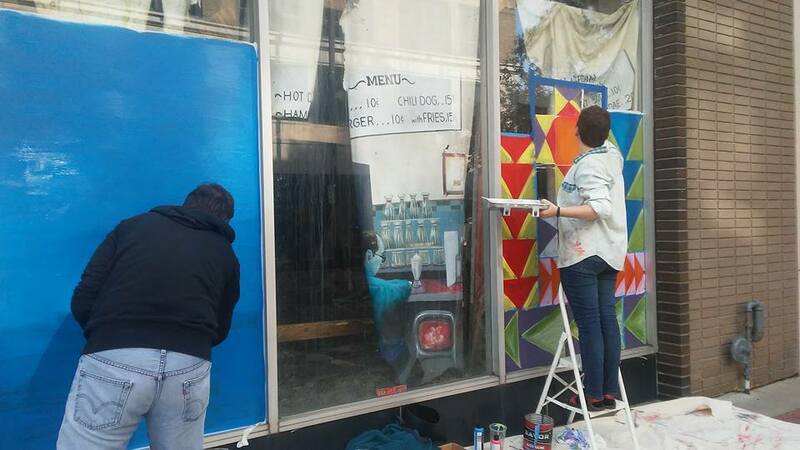 Paducah would soon be initiating their own form of artistic rejuvenation for the local community by covering the old store windows first with plywood covered in white primer paint to begin the process. I knew it would work because I had seen it done many places across the country. It was very enthralling of how artists had painted murals in all the cities I listed above…using as their media format, concrete tunnels and bypasses, old billboards and abandoned buildings. So my call to action was to become part of the artistic rejuvenation in Paducah. 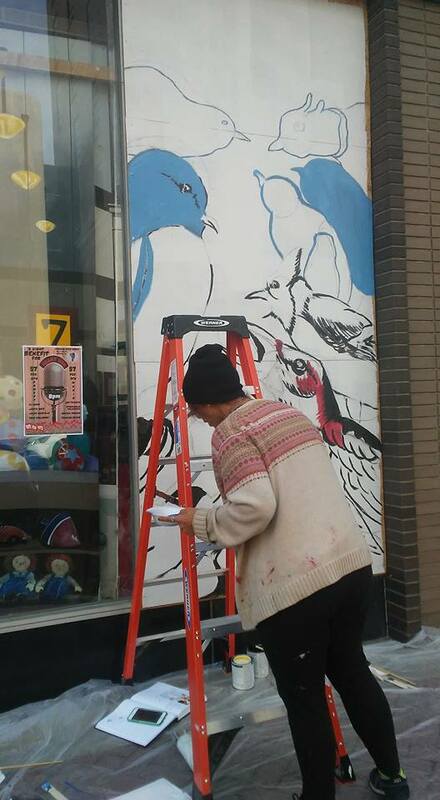 As soon as the weather breaks I will help out my hometown by eventually painting a second mural. I favor the Impressionist form of Picasso I had admired in Phoenix Arizona. Mural Painting can be inspirational for large and small communities and enjoyed by all age groups.